Last week Google accidentally let slip that they will be penalizing AdWords advertisers for slow loading times of landing pages. You can view the Google’s FAQ on this topic here. Wow. This brings up a bunch of questions. What is “slow”? How will I know if I am penalized? How do I fix it? How much will this cost me!? …we evaluate your load time relative to the average in your server’s geographic region. How will I know if I am penalized? Look at how your keyword is graded on the Keyword Analysis page. If it says, “This page loads slowly”, you are affected. Put simply, if you are a web developer, just follow the directions they list: use few redirects, reduce page size, stop using interstitials, and minimizing iframes. If you aren’t, you will need to get someone to help you. The AdWords system re-evaluates landing pages on a regular basis. If you make significant improvements to your landing page’s load time, you should see an improved Quality Score and lower minimum cost-per-click (CPC) bids. Note that your Quality Score may update incrementally over a number of weeks after you improve your load time. No one knows yet the extent of “slow” that Google is penalizing. But irregardless, if you are not actively managing your AdWords campaign and watching for penalties, this could cost you A LOT of money. Like any of the other penalties Google lists in their 100 page document, if you don’t know what they are, you can’t be possibly be able to ensure they don’t happen to you. Adwords is going from “too darn complicated” to “tax law complicated”. With so much money being spent, it is not a system for an AdWords newbie to dabble in. Unless you have a wildly successful campaign that can make you money even with all the mistakes you WILL make, it will more than likely cost you A LOT of money. If you start an AdWords account with the desire to “learn as you go”, you are shooting yourself in the foot. You will cause penalties to your account that can take years to correct. Sometimes, the problems will never go away. And with this penalty, you could be over-paying Google, not know it, and not even realize it was because of your site speed (or dozens of other factors most new webmasters wouldn’t have a clue about). Trying to figure out AdWords as you go is like trying to represent yourself in court. Sure, you may get lucky, but do you want to bank on that? 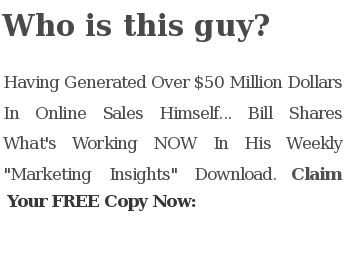 This entry was posted in Google AdWords and tagged adwords, Google, google adwords, google slap, internet marketing, landing page, landing pages, Online Marketing, pay per click, ppc, quality score by bill. Bookmark the permalink. I’ve been included in taxations for longer then I care to acknowledge, both on the individual side (all my employed life-time!!) and from a legal viewpoint since satisfying the bar and following tax law. I’ve supplied a lot of advice and rectified a lot of wrongs, and I must say that what you’ve posted makes impeccable sense. Please persist in the good work – the more individuals know the better they’ll be equipped to comprehend with the tax man, and that’s what it’s all about. I have a better question – why even bother using AdWords for your business when Google can change the rules at any time and can basically ban your website forever if there’s some aspect they don’t like. Slapping because of a “slow” (whatever that is) server would be the equivalent of trying to advertise in the newspaper but they won’t let you because you don’t answer the phone fast enough. My question is this…How can I become a Google God? It seems that no matter what you do with regards to adwords you can get screwed. I’m really looking forward to you sharing important information about how we as webmasters can avoid the various adwords traps. I truly enjoy reading your posts.